Pick a dry day to ascend this difficult boulder field. 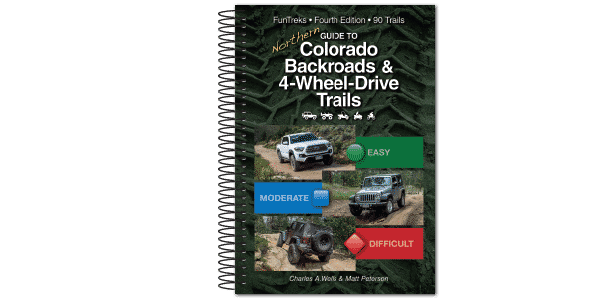 Challenging trail even for seriously modified vehicles. Starts at bottom of narrow ravine with no option to turn around once you get started. Great views from high ridge at end of trail. Part of larger Wolford Mountain Travel Area. No unlicensed vehicles. Open all year, weather permitting. Attempt ONLY when dry. Obstacles become progressively more difficult. Lockers required. Best done with oversize tires and big lift.